Our Solar Panels Installers in Brighton were rated (based on 68 reviews of 679 installers). 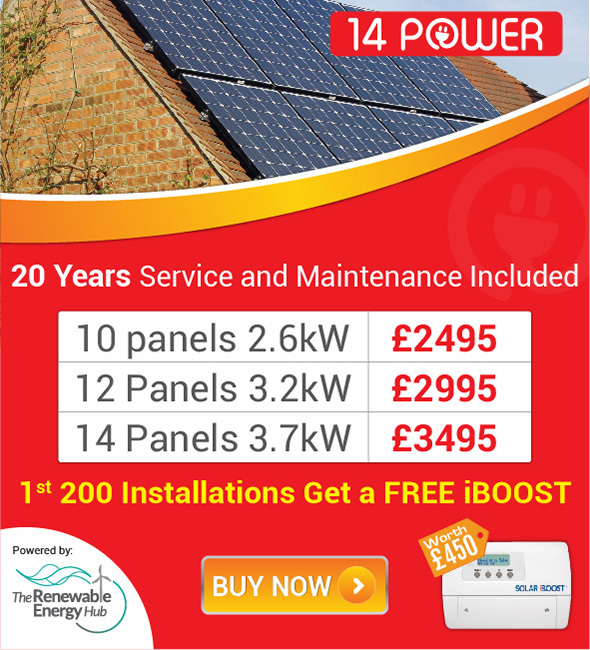 Search below for all the solar panel installers in and around the Brighton and Hove area. Brighton and Hove is a seaside city based on the south coast of the United Kingdom and is Britain’s most popular seaside resort. Economically Brighton and Hove’s economy of the city is largely service-based and has a strong emphasis on the creative, digital and electronic technologies compared to the national average economic sectors. However, in line with many other parts of the United Kingdom Brighton and Hove has seen a very sharp rise in energy prices and bills of recent years for both domestic and commercial consumers. It is perhaps for this reason that Brighton and Hove has begun to explore alternative and particular renewable energy sources in a bid to reduce the cost of the annual bills paid by the people of the city. Chief amongst these new forms of energy provision has been the large-scale exploration of solar power and the installation of solar panels. It is unsurprising therefore that over recent years many new companies and firms have been established to meet these growing demands for solar power and solar panel installation by the people and businesses of Brighton and Hove. This impetus towards solar power has been vociferously backed by the local council who are investing large sums of money into solar energy production. The stated aim set out by Brighton and Hove City Council is to become the 'UK's Greenest City'. Recently the Council invested £15 million into a scheme to fit photovoltaic solar panels to hundreds of council homes in the Brighton and Hove area. If the scheme succeeds then the solar panels will be installed on 1,600 of the council's 12,000 strong property stock and it is expected to reduce tenants' fuel bills and to make a profit for the council that can be invested back into improving the housing stock. The council argues that whilst the initial costs of having solar panels may be expensive, with merely a few years this initial outlay is recouped in substantial saving on annual energy bills and over a period of twenty five years the council expects and forecasts to save somewhere in the region of nine million pounds on energy cost. Any solar energy that is generated but not used will simply be fed back into the national grid hence nothing is wasted at all. Beyond the need to save money for the citizens and businesses of Brighton and Hove, which may be the most pressing imperative, the council is also at pains to stress the enormous environmental and ecological benefits that may be accrued from renewable energy forms such as solar power and the installation of solar panels. They argue that such forms of energy generation substantially reduce the amount of carbon dioxide that is released into the atmosphere from the burning of fossil fuels in the generation of conventional energy forms and as a consequence helps reverse the extremely harmful effects of global warming. Brighton and Hove is perhaps in the vanguard within the United Kingdom of seeking new renewable energy forms, and this is a trend that looks set to continue into the future.